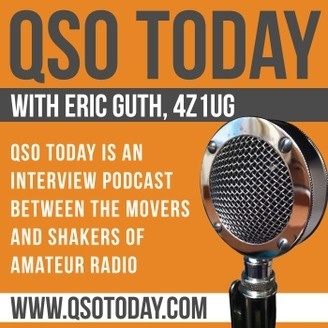 The QSO Today Podcast hosted by Eric Guth 4Z1UG is approaching two hundred episodes. It is quite a feat producing a weekly podcast consistently for almost four years. The secret is that Eric enjoys doing the interviews as much as his listeners enjoy hearing them. The fact is that Eric and I learn something new in each episode. Eric says the guests are the movers and shakers of amateur radio. He is right, and there is an endless list in this hobby. Eric starts with how each guest started in ham radio. From there, Eric explores the unique talents and accomplishments of each guest. 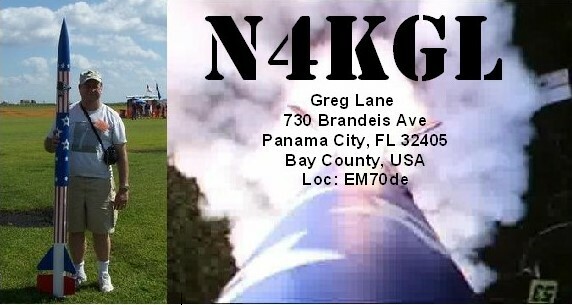 There is a tier of guests you have heard of like Bob Heil K9EID and Wayne Burdick N6KR. But the guest list is deep and wide. They include QRPers, DXers, contesters, homebrewers and more. I am getting about an hour of access to these guests per episode. It is access that only those who run in their circles would have. Eric is on a mission to capture an oral history of the ham radio experience. He gives older guests priority. I was sad to hear about the recent passing Art Bell W6OBB. Eric recorded Art's story about two years ago. Art had an exceptional story in ham radio and broadcasting. Dennis Vernacchia, N6KI who gives his story of Army Mars during the Vietnam War. Likewise, I am in awe of accomplishments of sight-impaired hams like Ron Milliman K8HSY and Jim Kutsch KY2D. I learned about contributions of YLs like Carol Perry WB2MGP and Ellen White W1YL. Don't miss Dennis Blanchard's K1YPP story of ham radio and the Appalachian Trail. Explore the philosophy of life and ham radio with Mike Rainey AA1TJ. 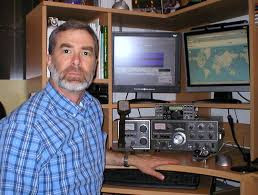 Also, learn the origins of RaDAR with Eddie Leighton ZS6BNE. I missed out on the hobby for 25 years and never had Elmers in the realm of DXing, Contesting and homebrewing. Now I know what Mult-Multi, SO2R, and WRTC are about. I previously had no clue. If you want to enjoy these podcasts for their Elmer value, you will just have to find the time. I take advantage of time in my vehicle. Frankly, I am guilty of binge listening. I pick up more gold nuggets on the second listen. I am on a quest to recall the stories from just the name and call. It is my memory exercise. Thanks to Eric and his guests, for these podcasts. Please accept my congratulations in advance for two hundred episodes. They are enhancing my ham experience immensely.